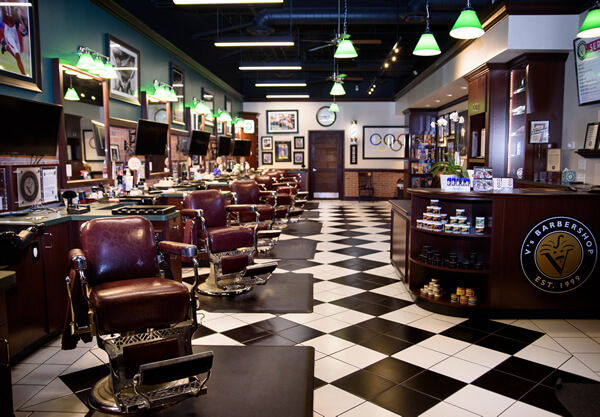 V’s Barbershop enjoys massive demand for an upscale, stylish, traditional men’s grooming establishment. Veterans get 10% off the initial franchise fee, a $3,000 discount. 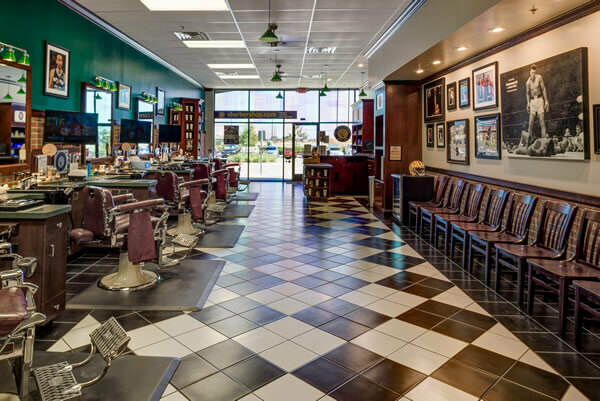 In November 1999, V's Barbershop & Shoeshine® opened in Phoenix and the great old-time barbershop was reborn. 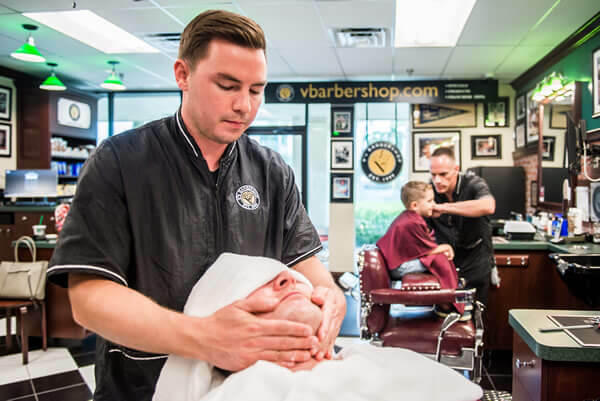 From the real barber chairs, to the old fashioned hot lather and straight razor shave, to the head and neck massage, V's Barbershop sets a new standard. Our barbers provide traditional and short hair cuts, as well as contemporary men's haircut styles. At V's, we bring you the nostalgia of yesteryear with a modern twist. Best Of The Barbershops: Our average sales per store are among the highest in the industry. Take a look at Item 19 of our Franchise Disclosure Document and see the difference! Compare ours against anyone else in our industry. Keep Your Job: In many circumstances, franchisee's can be 'semi-absentee' owners. Protected Territory: Up to 5 mile radius, throughout the term of your franchise agreement. Reduced Royalties: 5% rate drops to 2.5% for sales over $500k. Dedicated Support: V's places franchisee support at the forefront of our mission. Simply put, we are there with you every step of the way. Close Relationship: V's does not view franchisees as a number – you are part of the V's family and treated as such! Continuous Growth: No matter what the economy looks like, hair keeps growing! No Waste: Unlike a restaurant franchise, nothing spoils. Unconsolidated Industry: Our competitors are largely made up of "mom and pop" shops and low-cost, convenience, salon-style shops. 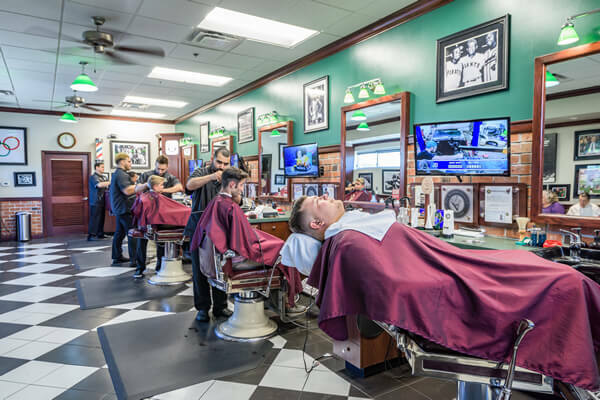 Old-School Cool: V's Barbershops are upscale venues that resonate with successful men who value their appearance and take pride in their grooming habits. There is no "quick cut" or beauty salon feel to any V's Barbershops. Don't think of V's Barbershop as just a franchise… It's every bit a Manchise® business opportunity. 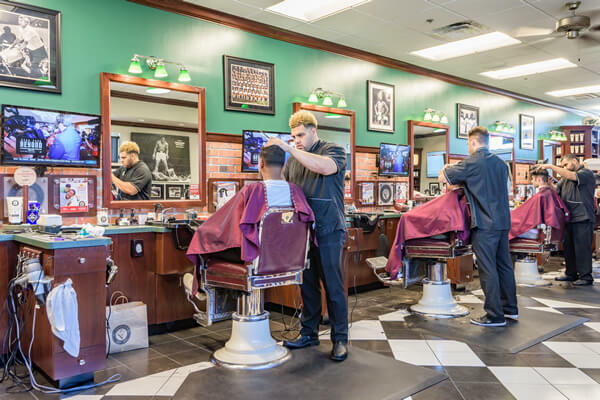 As a V's Barbershop franchisee, you will receive training on all aspects of operating the barbershop from pre-opening, operating and employee training. * V's has created comprehensive, detailed manuals with step-by-step instructions on everything from how to select a site, how to hire and pay barbers to V's distinguished approach to hair cuts, shaves and facials. We also train you how to operate our state-of-the-art computer system, how to market your V's Barbershop and give you access to pre-selected vendors for everything you will need to purchase: barberchairs, cabinetry, artwork, towel warmers, shaving cream, straight razors — literally everything you need! The V's professional management team was behind the resurgence of upscale barber shops in the United States with a combined 50 years in business management and consulting. The team is always available to assist you owning a franchise. You will truly be in the barbershop business for yourself, but not by yourself. V's has the power to purchase in volume and pass the savings onto our barbershop franchisees. We take the effort out of product research, price negotiation and purchasing. Please call Dennis Fuller directly at (866) 522-8893. V's Barbershop is currently accepting inquiries from the following states: Alabama, Alaska, Arizona, Arkansas, California, Colorado, Connecticut, Delaware, Florida, Georgia, Idaho, Illinois, Indiana, Iowa, Kansas, Kentucky, Louisiana, Maine, Maryland, Massachusetts, Michigan, Minnesota, Mississippi, Missouri, Montana, Nebraska, Nevada, New Hampshire, New Jersey, New Mexico, New York, North Carolina, North Dakota, Ohio, Oklahoma, Oregon, Pennsylvania, Rhode Island, South Carolina, South Dakota, Tennessee, Texas, Utah, Vermont, Virginia, Washington, Washington, D.C., West Virginia, Wisconsin, Wyoming.